On the 2nd April 2019, the Australian Government announced its budget plan for 2019-2020. Over the next few months the government will be implementing changes to Australia's migration system. Below we list some key initiatives that will affect visa applications. From 1 November 2019, the Skilled Migration Points Test will award additional points to primary applicants when their partner has competent English but does not meet the existing requirements for skilled partner points. From 1 November 2021, international students who have completed a higher education or postgraduate qualification in a regional area, and are holding a 485 visa, will be able to apply for an additional year on a second post-study work visa. 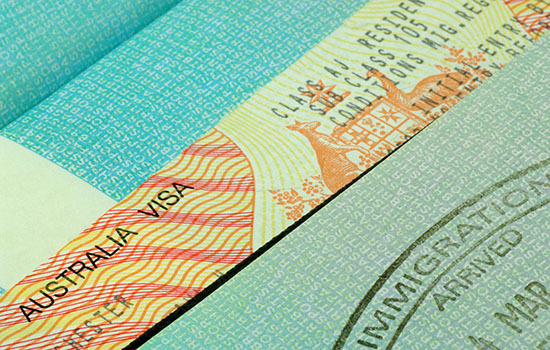 From 1 November 2019, two new regional visas will be introduced - the Skilled Work Regional (Provisional) visa and the Skilled Employer Sponsored Regional (Provisional) visa. These visas will replace the Regional Sponsored Migration Scheme subclass 187 visa, and the Skilled Regional (Provisional) subclass 489 visa. Under these two new visas, migrants will be eligible for permanent residency after they have met the requirement of living and working in regional Australia for 5 years. In October 2019, competitors and officials applying for a Temporary Activity subclass 408 visa for the INAS Global Games in Brisbane will have their visa application charges waived by the Australian Government. Additionally, in October 2020, competitors and officials participating in the International Cricket Council T20 World Cup in Australia will have their visa application charges waived by the Australian Government. From 1 July 2019, the Government will repeal the Home Affairs Legislation Amendment (Miscellaneous Measures) Act 2019 as the Christmas Island Detention Centre will be closing. Any people who are unauthorised maritime arrivals that were in the centre will be returned to Nauru or PNG. From 1 July 2019, most visa application charges will be increasing by 5.4%. However, the Visitor Visa, subclass 600, fee will remain the same. Has your visa application been affected by the budget? If you need assistance with your visa application give our office a call on 1300 066 267. Alternatively you can book in for a free consultation here.